Home sellers have an easier time by preparing for a home inspection in advance. Getting ready for a home inspection helps to prevent future problems, and prevention can stop surprises. The last thing a seller needs is for a home inspector to break a fixture or cause damage because the seller was ill-prepared. Some local governments require that the seller provides the buyer with a detailed home inspection while giving the buyer the option to obtain her own inspection. In other parts of the country, the seller provides only disclosures, and the buyer pays for her own home inspection. Whether you're producing a seller's home inspection for the buyer or expecting the buyer's home inspector to show up on your doorsteps, it's best to be thoroughly prepared. It sounds so simple, yet homeowners often overlook this tactic. Home inspectors are people first and inspectors second. As people, they carry preconceived ideas of how well a home has been maintained. 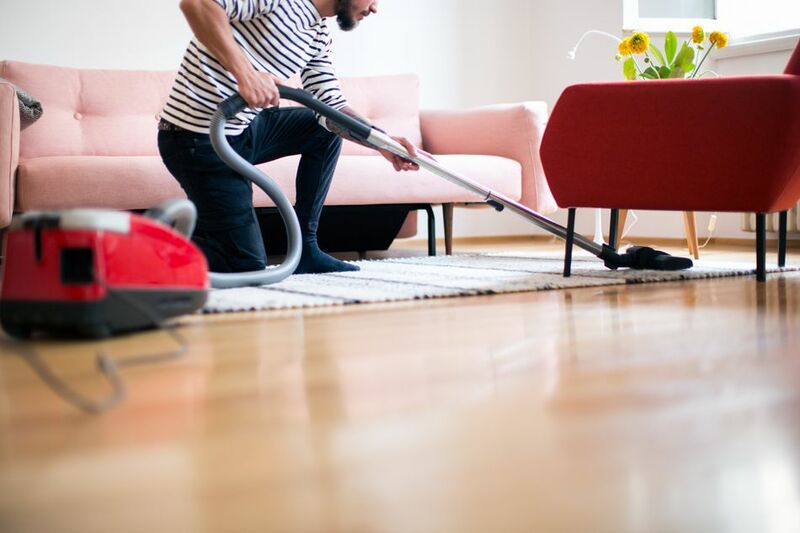 Clean homes say you care and take care of the house. It's a good idea to make a good impression. Don't make the mistake of thinking they can see past stuff; they can't. Sometimes, home inspectors are early. If an inspector makes an appointment with you for 9:00 a.m., have the house ready for inspection at 8:30. It's also common for inspectors to start on the exterior of the home, so leave the shades down or drapes drawn until you are dressed. More than one unprepared seller has been "surprised" by a stranger stomping around in the backyard. 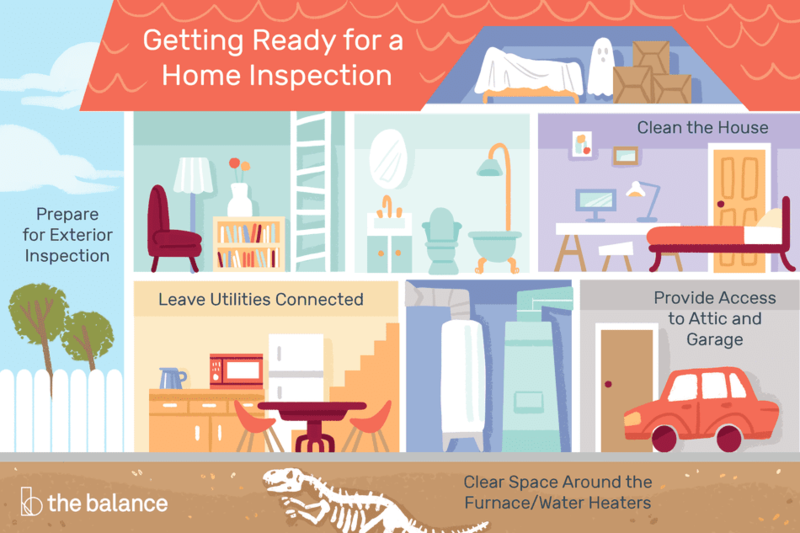 The home inspector will need to turn on the stove, run the dishwasher, and test the furnace and air conditioning, so leave the utilities on, especially if the house is vacant. It's impossible to check receptacles for grounding and reverse polarity if the power is turned off. Without utilities, the inspector will need to reschedule, which could delay the closing of your transaction and the removal of the buyer's home inspection contingency. Some inspectors charge a buyer a reinspection fee to make a return trip, and that can cause ill will, too. Remove boxes, bookcases, furniture, and anything else blocking access to your furnace, air conditioner, and water heater. The inspector will need three to four feet of working space to inspect these items. They often will not move anything themselves, but if they don't have access, an inspector might suggest a specialist to the buyer. Buyers, not understanding why might then hire a specialist who will undoubtedly find more things wrong. Why? Because a specialist has a lot more knowledge than a general inspector. Many home inspectors will refuse to light pilot lights because the inspector does not carry enough insurance to be covered for that type of liability or risk. If your pilot lights are not lit, then important items such as the water heater, gas stove, or furnace will not be inspected, and the buyer could delay closing until those inspections are completed. The inspector needs to get into your basement and/or attic as well, so keep a path cleared. Check for water in the basement. Move all boxes and stored items away from the walls by at least two feet. Vacuum spider webs. Look in the attic for possible rodent droppings, and secure valuables, if any. Nobody expects you to shovel a tunnel around your home if snow drifts are blocking the foundation but in the winter, do provide a path around the house. In the summer, cut down dead tree branches and clear brush from the foundation, and move trash cans away from the house. Many inspections can take up to three hours to complete.